Review Summary: I Call Fives are "Stuck in '03"... And we are all the better for it. Following the release of two solid EPs, New Jersey pop-punkers I Call Fives both disappointed and confused earlier this year with the release of a third EP; 'Someone That's Not You'. With its objective difficult to ascertain, its more methodically paced tracks even went so far as to expose the band's weaknesses. There is no such concern on the quintet's belated self-titled debut LP, however, with the closest thing approaching a ballad here, being a handful of slowed down bridges... That last all of twenty seconds each! From beginning to end and without let up, this is an energetic and up-tempo brand of throwback pop-punk which satisfyingly splits the difference between the slicker poppier acts of the genre and the heavier punk-leaning outfits. While undoubtedly simple and familiar, album opener 'Late Nights' is one of many tracks which proves that there is more than meets the eye with 'I Call Fives'. Containing a minimal gap between its best and worst tunes, this consistent and cohesive LP does come with the perception that these undeniably melodic songs carelessly bleed into each other a little too much. However, the forward-charging musicianship on show never settles into a rut, with more than subtle diversity apparent for those listening intently. Christian Mullen's drumming is propulsive head-banging stuff, yet anything but repetitive, while the dual guitar attack of Chris Mclelland and Michael Joffe is surprisingly varied, if never ground-breaking. One of the aforementioned weaknesses which rose to the surface on the teaser EP was Jeff Todd's semi-nasally whine, but the brisk pace (only one track passes the 3.10 mark) of 'I Call Fives' thankfully assists him favorably, even adding a relatable sincerity to what are rather conventional genre lyrics. Sufficiently broad so as not to become overly tedious, there is also an uplifting nature to the lyrics, despite the surface-level "woe is me" theme. Assisting him greatly are the satiating backing vocals and gang chants which are consistently evident throughout, despite their raw demeanor seeming more tailored for live sing-alongs rather than their effectiveness on record. Some of the eminently recitable - if simple - refrains include "I never wanna see you again" from 'Late Nights', "You know you're so wrong" from 'Stuck in '03' and "It's hard to make amends when you turn your back on your friends" from 'We Were Right Together...'. Let's get one thing straight: Those looking for a reinvention of pop-punk on 'I Call Fives' have clearly taken a wrong turn somewhere, with cynics certain to point to the album's lack of variety and creativity. But for those looking for a nostalgic pop-punk trip which recalls New Found Glory, early All Time Low and the like, then look no further than this fun debut which is perfect for some summer-time listening. I Call Fives even throws a shout-out to their influences, with aptly titled highlight 'Stuck in '03' beginning with "I was listening to Take This To Your Grave, So Long Astoria and Nothing Gold Can Stay. You said I'm filling my head with nonsense and I'm throwing my life away". Fittingly, the gang vocals "You know you're so wrong" follow soon after, and it is a chant which could also serve as a warning for those willing to write I Call Fives off as just another one of the countless sub-par pop-punk bands doing the rounds. Recommended Tracks: Stuck in '03, Late Nights, Sleep Well & The Fall Guy. The critic in me is supposed to rate this no higher than a 3.5… The human in me loves this half-hour’s worth. Also, I couldn’t find a spot for the sentence, but I think while ‘Sleep Well’ may not be as well-rounded as the opener & ‘Stuck in ‘03’, it probably has the catchiest chorus: “Sleep well tonight, coz when your lies catch up to you, you know there's nothing I can do but pull the knife from my back and give it back to you”. Sowing, you can pretty much pick any song on here & you will know if you will like the whole album. Of course, many will see that as a major downfall. I don't have access to YouTube right now to link anything, but 'Late Nights' should be floating around there somewhere (official video or otherwise). "Calling fives" refers to reserving one's seat or chair or position on a couch, usually in a party setting, for a period of five minutes. Like, hey, I'll be back. 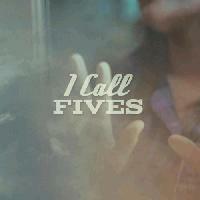 Fives. Where'd these guys go to?! Are they going to return!?!?! andcas, I reckon you'll love this. Can a debut LP be a "return"? They've been around for 6 years, so I guess so. Good to hear. I'm still unsure how I stretched this review to 4 paragraphs. Hell yeah Adam. It's winter down under & this album is still going down a treat. LOL Daniel. Are you my punderstudy or something? Judging by your avatar SixDegrees, you'll like this. Just don't expect female vocals. Heh, I can puntificate like no man's business. Such a catchy album. Good to see a staffer reviewing stuff like this. I wonder if I'll dig this. Hm. BroFro, I wasn't planning to review this (since I had targeted House of Heroes fopr the same release date), but I gave it a casual listen last weekend & haven't stopped spinning it since. I was sort of obliged to review it then. Xeno, that's probably why you were promoted to staff! I am clearly the exception to the rule. Unsure Chipmunk. You may be one of those who enjoy it in small doses, but not 12 tracks worth. Definitely give it a spin though. It's cactchy, it's poppy & it hits hard. What's not to like? Thank God there are no Third Eye Blind cover songs on this! Also wanted to ask how similar Tonight Alive is to Paramore. Been on the fence about purchasing the album for sometime. Good, cause I got over Paramore awhile ago. I enjoyed "Starlight" a lot. Also, lead singer is hot.